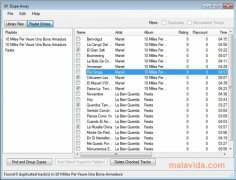 If you use iTunes as a multimedia player and you want to improve the management of its music library, Dupe Away can come in very handy. 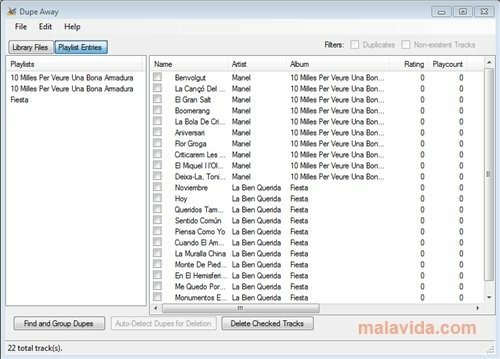 It is an application that allows to clear duplicate songs from the iTunes library in three simple steps. If your iTunes library is totally disorganized and full of repeated songs and others that the application can't even recognize and therefore can't play, download Dupe Away and clean it out. What can Dupe Away do? Find and eliminate duplicate entries from iTunes. 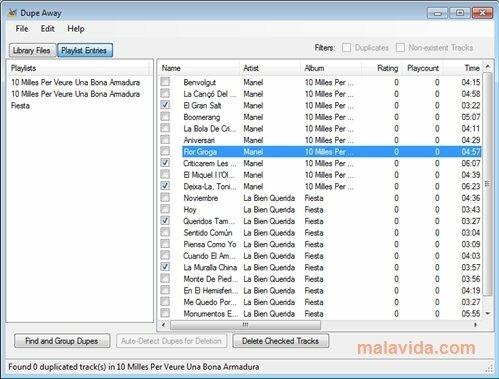 It allows to locate all the songs that iTunes doesn't find and can't play, so you can eliminate them from the library. 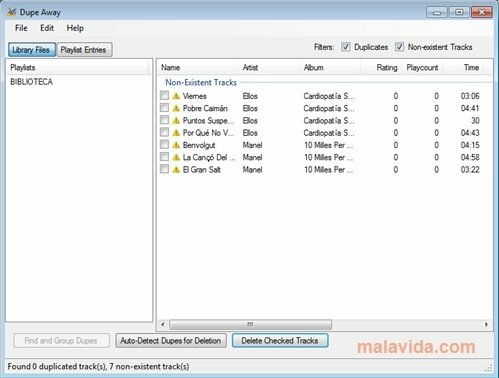 Helps the user to decide what duplicate songs have to be eliminated and which don't.To do so it uses diverse criteria, like the amount of times they have been played. 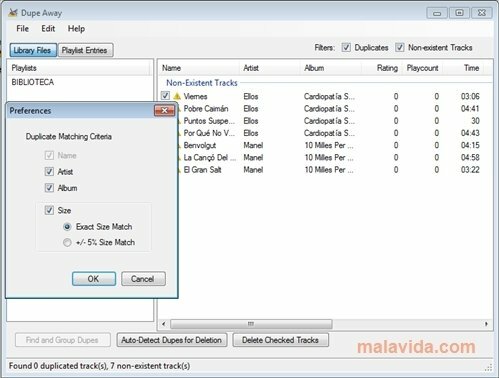 Clean your iTunes music library in an instant. 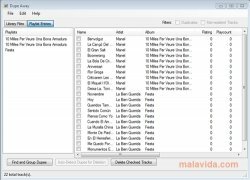 Find and group duplicate files: identify and order duplicate music and films that don't have a location. 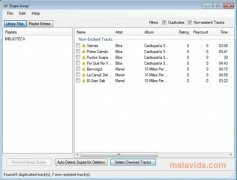 Mark duplicates to delete them: you can base them on criteria like the amount of time that have been played or the data on which it was added. Eliminate the duplicate entries selected. That is how easy it is to have a clear and ordered music library. Download Dupe Away and check its use. This download requires that you have iTunes 8, 9 or above installed. The trial version doesn't allow to eliminate duplicate entries.